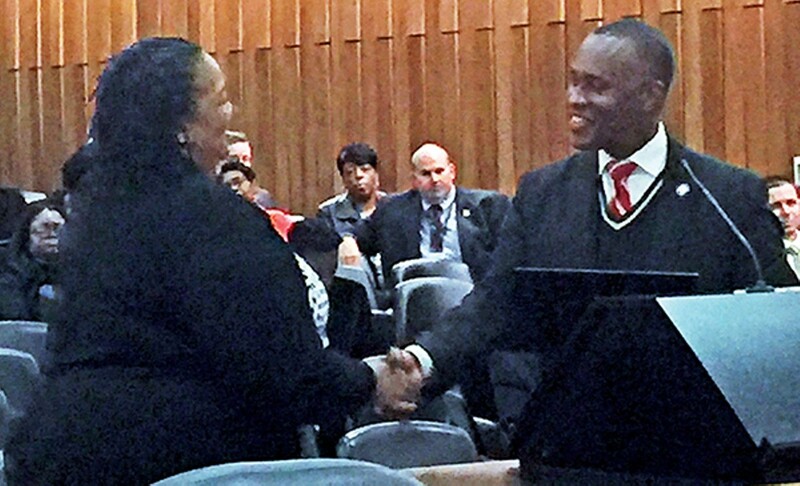 County Commission Chair Van Turner (right) congratulates Commissioner Tami Sawyer for 2018 Ebony magazine Community Crusader Award. Toward the end of Monday's meeting of the Shelby County Commission, second-term member Mark Billingsley, looking out from his seat on the stage of the Vasco Smith County Administration Building, swept an arm out toward the auditorium's row of seats, all virtually empty, as Billingsley pointed out, save for a few isolated staff members. Billingsley went on to suggest to his colleagues that the commission's recent decision to change the start time of its meetings from 3 p.m. to 3:30 p.m. — ostensibly, on the initiative of new member Mick Wright, to enable more members of the general public to attend meetings — had failed, and that maybe the commission ought to revert to its previous start time. A couple of things struck at least one observer as unusual: 1) that the effective half-hour difference did not seem all that consequential; and 2) that it had been Billingsley himself, at the beginning of his first term, four years ago, who had moved for a change in the body's start time, from 1:30 p.m. to 3 p.m. And his reasoning back then? That such a change would enable more members of the general public to attend meetings. In one sense, given the number of reasonably significant matters that have occupied this commission in its first couple of months, the matter of starting time might have seemed relatively unimportant. But is it? 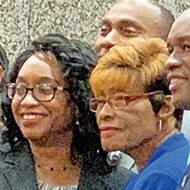 Commissioner Wright, who represents Bartlett, had originally suggested an even later start time, 6 p.m., but that was shaved back during later consideration, on the grounds that, while the public might indeed be freer to attend in the evenings, staff members — whose presence on many matters is essential — would be inconvenienced by having to stick around. There is no perfect time for a public body to meet, of course. 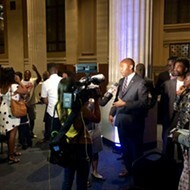 The Memphis City Council's start time for its Tuesday public meetings has, for several years, been 4:30 p.m., a time that strikes something of a mean between the needs of public and city government staffers, but seems mainly to be of advantage to the 10 o'clock newscasts of local television stations, by providing them with relatively fresh newsbreaks. On Monday, Wright earned a bit of teasing from colleague Edmund Ford Jr., who noted that several of Wright's initiatives involved clock time, including another matter up for discussion on Monday — that of Daylight Saving Time. Wright had suggested that the back-and-forth shifting — back an hour at one time of year and up again later on — creates unnecesary dislocation in people's lives. Wright first proposed including the state's abandonment of Daylight Saving Time as an item in the commission's recommended legislative package for the General Assembly but later said he'd be satisfied with the imposition of year-long Daylight Saving Time. The idea in either case, with or without DST, was to maintain a year-long consistency. Ultimately, the commission approved an amended version of Wright's resolution, one that would urge the General Assembly to reconsider the issue of Daylight Saving Time without recommending a particular course. • As befits a local legislative body, perhaps, the incidence of partisan disagreements is not large, but it does exist. It showed itself on a few matters Monday. One instance concerned the meaning of a resolution asking the General Assembly to amend the state's Basic Education Program (BEP) "to fund additional school Resource Officers, Social Workers, and Counselors." A debate of sorts erupted over the meaning of the term "Resource Officers." Amber Mills, the resolution's original sponsor and a Republican, wanted the term construed to denote security officers. Or, at least, she accepted commission Chairman Van Turner's paraphrase of her intent to mean something such-like. Other commissioners, including the body's Democrats, wanted a looser definition, and they prevailed in a party-line vote, in which Wright, Billingsley, and Brandon Morrison, all Republicans, sided with Mills on the losing side. The final resolution, with the looser definition intact, then passed 12-0. Another Mills resolution asked the General Assembly "to avoid the adoption of Legislation, Policies, Rules of Regulations requiring the implementation of unfunded mandates." This one, arguably reflecting a traditional Republican concern, was approved unanimously once it was reworded to specificy "unfunded education mandates" — which Mills accepted as expressing her basic intent. A third matter reflected this commision's apparent inclination to skirt possible divides in the interests of unity. 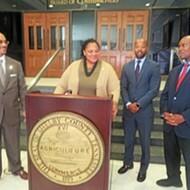 This was regarding an ordinance, up for the second of three required readings, to amend the requirements of the Shelby County Minority and Women Business Enterprise Program (MWBE). 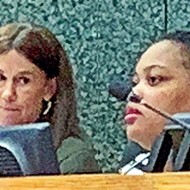 As outlined by Shep Wilbun, chief county diversity officer, the ordinance went into minute detail defining the terms, numerical and otherwise, that either permitted or encouraged the awarding of contracts in greater numbers to firms owned by women and/or African Americans. In the end, there appeared to be general agreement on the commission that the accretion of new detail was such as to make an already abstruse process even more "cumbersome" — an adjective supplied by Commissioner Morrison. And thus the ordinance was routed back to committee to undergo a process of simplifcation. • Last weekend saw a visit here by Tennessee Democratic Party chair Mary Mancini, one of several planned for statewide under the head, "Analyze, Organize, Mobilize," to discuss party affairs and strategy. A group of 30 to 50 local Democrats met with Mancini at the headquarters building of U.S. Pipefitters Local 614 in Arlington. 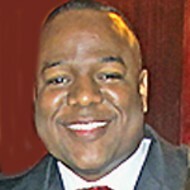 On hand to assist in the process, in the wake of what has been a highly successful year or two for the party, was Shelby County Democratic Party chair Corey Strong, who confided that he intends to focus on his job as special project director at Shelby County Schools and does not plan to seek reelection in March, when local Democrats meet in convention. 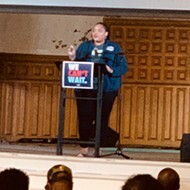 The forthcoming convention will re-inaugurate a cycle that was interrupted when the Shelby County party, having fallen into disunity and ineffectiveness, was dissolved by Mancini in 2016.